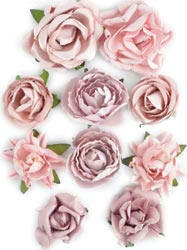 Gorgeous mulberry paper flowers available in 17 colors. 10 flowers per package! Flowers are 3/4" to 1.5"